Kinalur was some ways off from Kozhikode. You turn towards Kinalur Industrial Estate from Balussery on the road leading to Wayanad. Tucked away in a quiet corner of Kinalur, next to small hills, was the Usha School of Athletics. 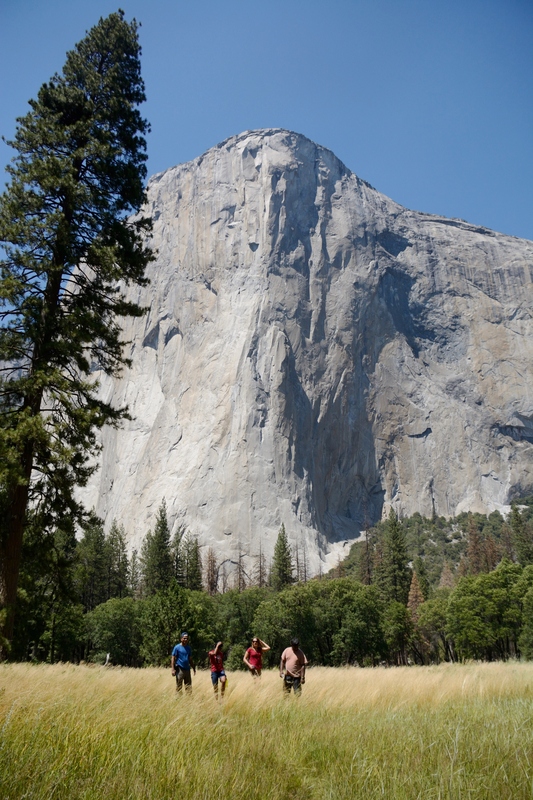 It was set on land of varying elevation. At a lower level from the road leading to the school was a small circular ground with mud track. Just above it was a building under construction meant to house facilities, including the school’s gym. At near similar elevation as this building yet tad lower than the road, was the office and hostel complex. The school’s gym also currently resided there. 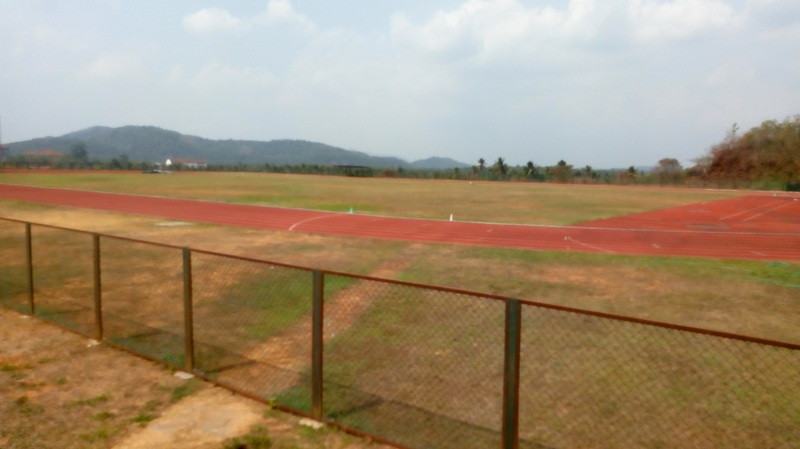 The highest elevation, bordering one side of the road, was reserved for the emergent heart of the school’s infrastructure – a fenced, well laid out ground with 400 meter-synthetic track. It was past 7 AM. The school’s trainees were already out on the track, training. They were dressed in blue colored shorts and T-shirt with USHA printed on the back. P. T. Usha was in the middle of the ground. Stopwatch in hand, she gave instructions to start training runs. At the end of each run by her wards, she shouted the time each one took. Her husband V. Sreenivasan, treasurer and one of the directors of the school sat on a bench to one side noting down the figures Usha was saying aloud. He diligently wrote it down against a list of athletes’ names. “ Don’t miss anything. These figures matter to me,’’ Usha, who was chief coach and mentor, reminded. The students did their training runs, taking turns batch by batch. Those coming off the track or waiting to get on to it encouraged those running. It depends on how you look at it. If you are the sort that wants city and urban commotion at hand, then this corner of Kinalur is arguably far off; too quiet. But if you are the sort seeking something in life, wishes to train for it and desires no distraction – then, this is it. In the more than three hours I was at Usha School of Athletics, nothing from outside interfered in its ecosystem, except freelance journalist’s presence. It was as secluded as an end of Kozhikode could get. At the same time it was self-contained facility. 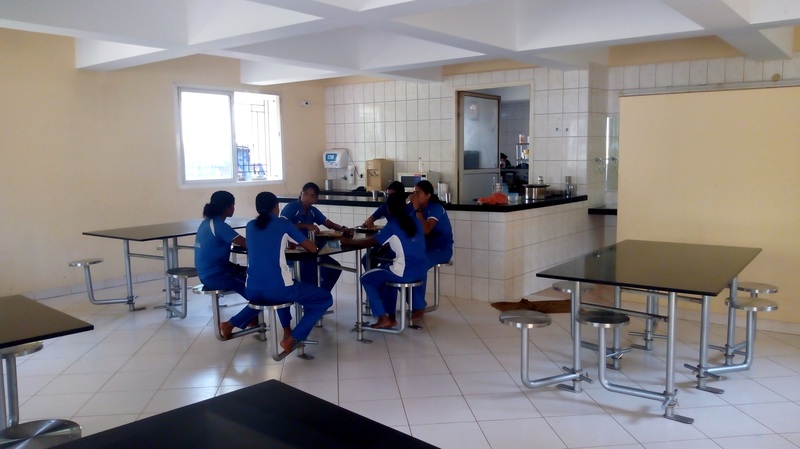 Around 9 AM, the students – having completed their morning session of training; had breakfast at the hostel mess and changed into the uniforms of their respective schools – left for studies. P. T. Usha is India’s most famous woman athlete yet. She is best remembered for her fourth place finish in the final of the 400m hurdles competition at the 1984 Los Angeles Olympic Games. She missed getting the bronze medal by wafer thin margin. A whole nation had hoped, sighed and then applauded her. “ In 1985, I happened to be at the Crystal Palace National Sports Center in London. They had good training facilities there. That was when I began thinking of an athletics school,’’ Usha said. The thought stayed in her mind. 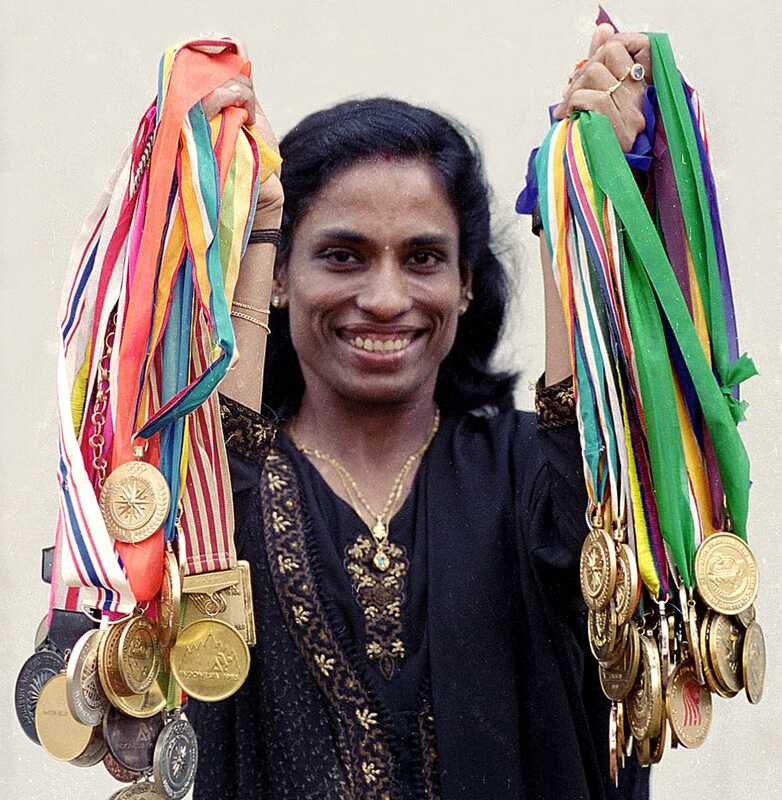 In July 2000, the media reported that Usha had announced her retirement. It was the second time she was saying so; the first had been after the 1990 Asian Games in Beijing. But this time it appeared final. 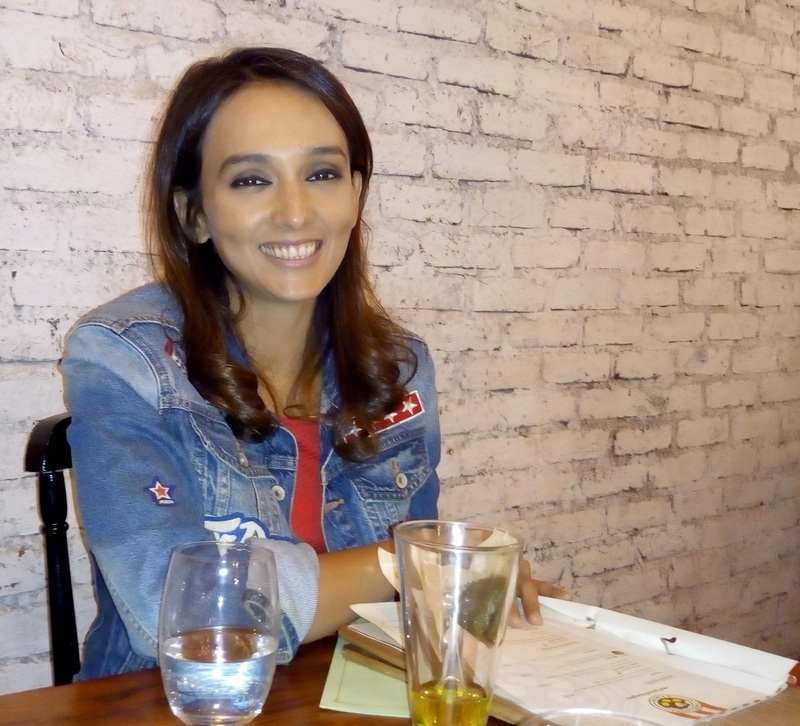 “ Athletics has been my life and it will continue to be so in the years to come in some form or the other,’’ The Hindu quoted her as saying at the meeting. Roughly two years before this press conference, in 1998, she had attended a civic reception in Koyilandy where people suggested that she train their children. She took it up. 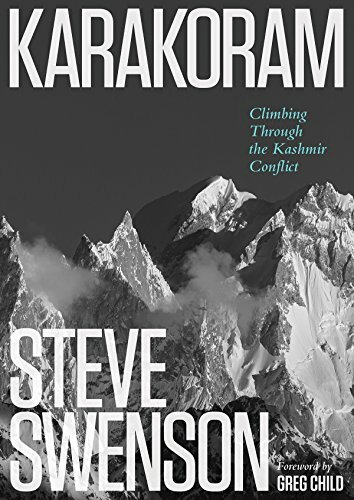 “ It was strenuous balancing that assignment with my regular work at Southern Railways,’’ Usha said. In conversations that followed with Sreenivasan and others, the contours of the school project started taking shape. The news report on her retirement decision mentions her hope that the proposed school would serve as launch pad for Indian athletes to get that Olympic medal, which she had come so close to getting but eventually lost. Of help in furthering plans for the school was an opportunity to interact with Mohandas Pai, former director of Infosys and currently chairman of Manipal Global Education, at an event in Mangalore. In 2000, the school was registered as a charitable trust. In 2002, the school was inaugurated; it operated from make shift premises in Koyilandy, had a spruced up sports ground in town to train at and the beach at Payyoli to additionally run on. The local Rotary Club contributed to setting up a gym for the school. After screening 40 children, 12 were selected for the school’s training camp. Within a year, some of them were competing at the national level. In three years Tintu Luka – she was part of the first batch enrolled at Usha School – was a silver medalist at the Asian Junior Championships. 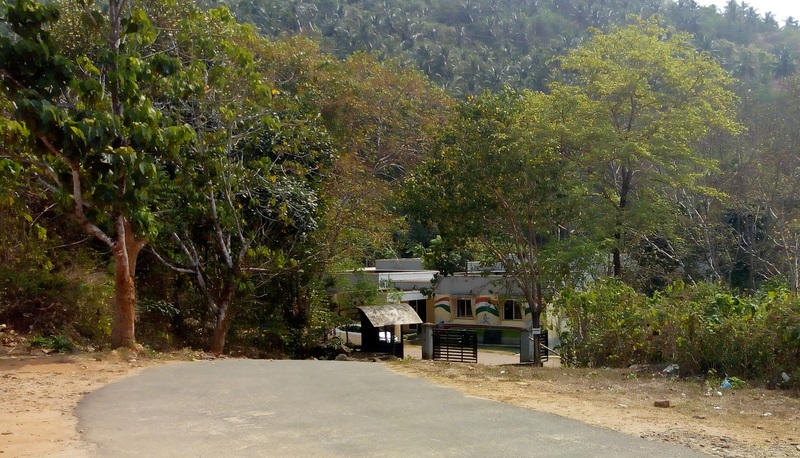 In 2006, the Kerala government allotted over 30 acres of land in Kinalur, to build proper facilities for Usha School. 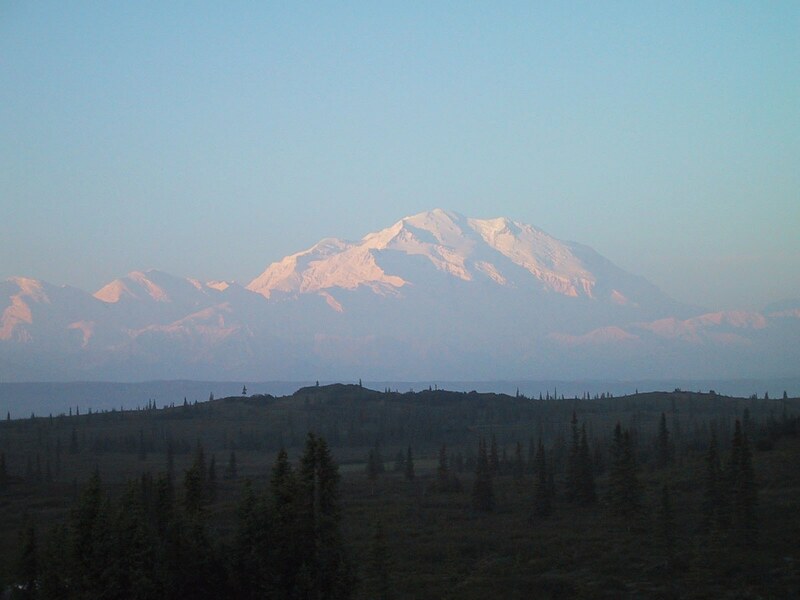 The land was provided on long term lease spanning three decades. NRI businessman P. N. C. Menon helped construct the school’s office and hostel complex. Besides Mohandas Pai, others from the Infosys family – Kumari Shibulal and Sudha Murthy – also helped. In April 2008, the school shifted to its current location. In due course, the synthetic track was added. Construction commenced on a new building for facilities including a proper location for the school’s gym. By next year, the school should also have a recovery pool. At the time of writing, only ten acres or one third of the allotted land had been developed. The rest was available for future development. The school can train students in track events ranging from 100m to 3000m steeplechase. Its hostel can totally accommodate 40 students. 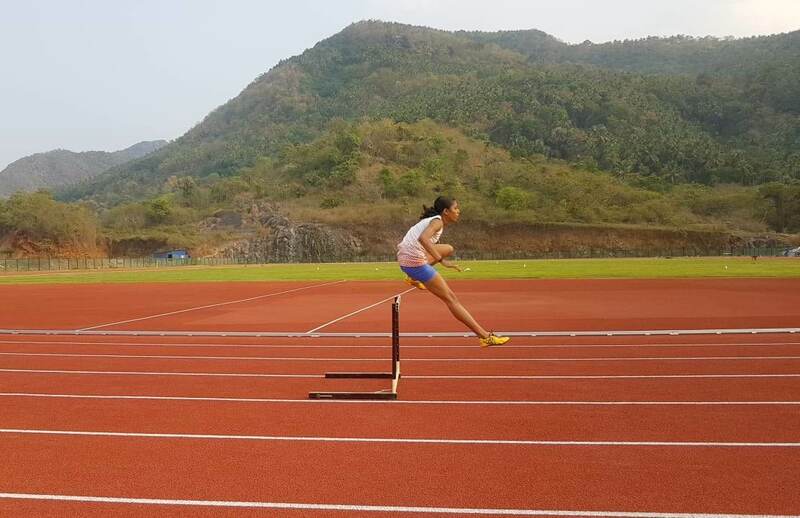 As of end-March 2019, it had 19 trainees including names like Jisna Mathew (she was part of the Indian athletics squad for 2016 Rio Olympics), Abitha Mary Manuel, Pratibha Varghese, Elga Thomas, Angel Sylvia, Sharika and Jessy Joseph. 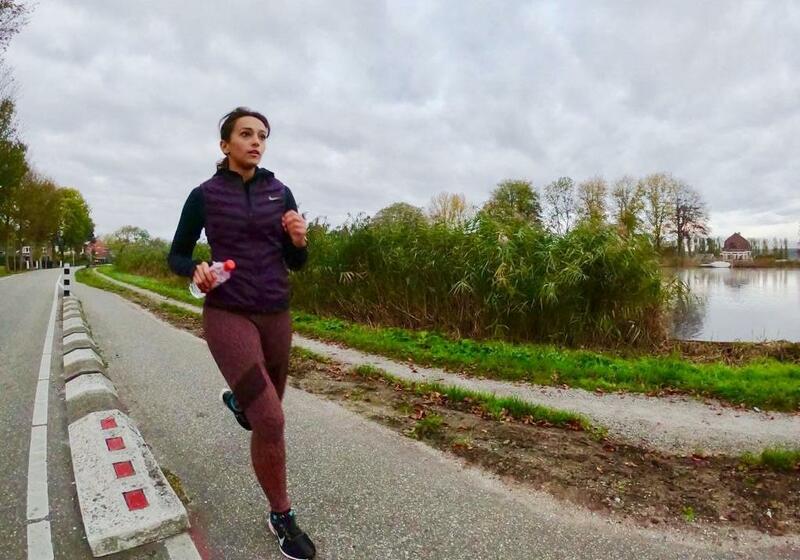 At the same time, in March 2019, news reports appeared that Tintu Luka (she holds the national record in 800m), after an illustrious career featuring many wins at the national and international level besides participation in two Olympics, may be planning to retire. For fans of athletics, that’s a measure of the distance traveled by Usha School and its students. Almost 17 years had gone by. 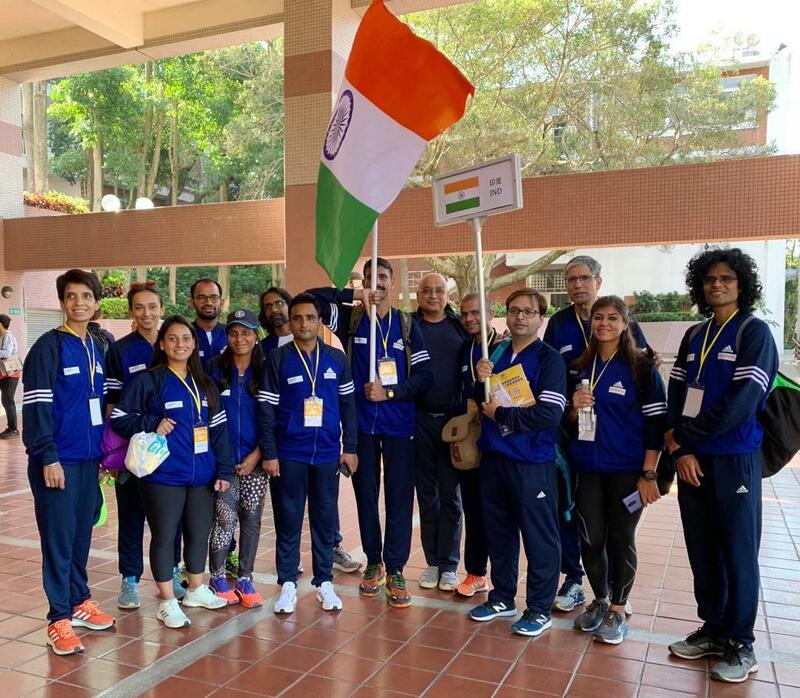 By March 2019, the school’s training staff included two assistant coaches, two physiotherapists, a team doctor, a strength trainer, a group of masseurs and personnel experienced in Ayurveda. The school accepts girl students. They are recruited at age 11-14 years. The core quality looked for is speed. “ What defines athletic performance is speed. From that fundamental ability, we develop strength and endurance. That is how athlete grows,’’ Usha said. Selection trials for admission to Usha School of Athletics are held every year in the first week of February. Admissions to the school are finalized by May. The trainees, in addition to training for their chosen discipline in athletics at the school, receive regular academic education at schools and colleges in the region. They also participate in cleaning and maintaining the community space they share. One of the biggest differences about Usha School is the seamless access to a range of athletic talent / experience under one roof. 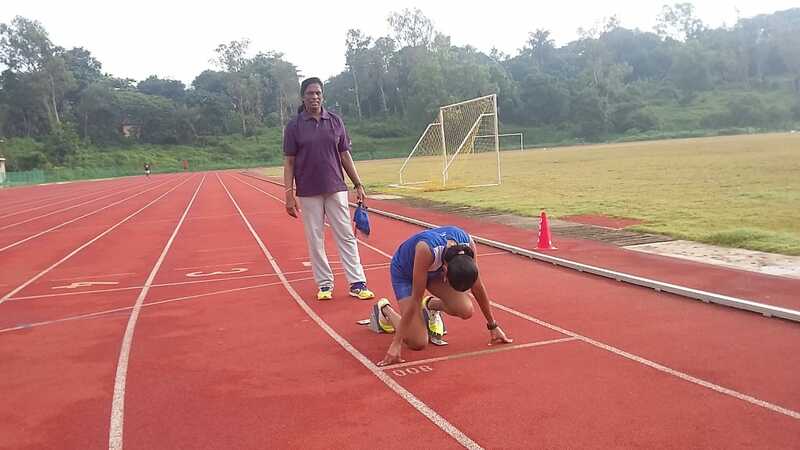 Usha is chief coach and mentor. The opportunity to train under her is what draws students to the school. On her part, she tries to know each of her trainees well. “ Every Christmas I make it a point to visit the home of any one of my students to know her and her circumstances better,’’ Usha said. 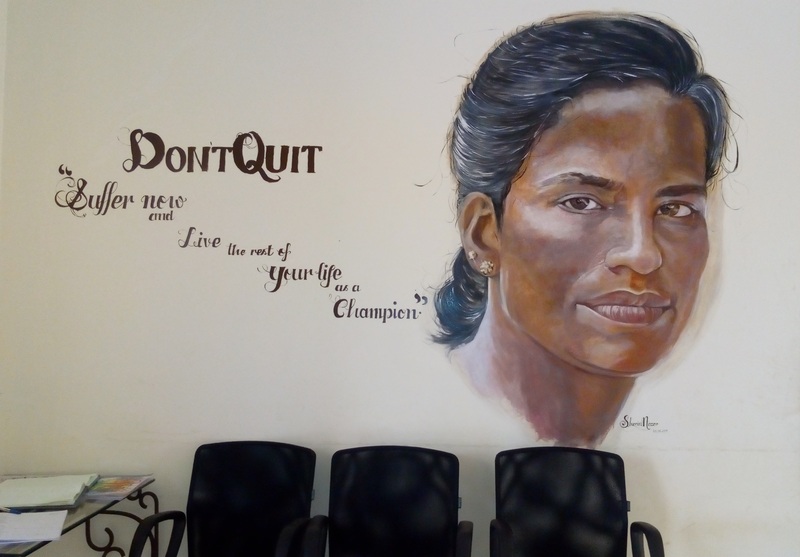 Besides such access to Usha, the students – they range from inexperienced newcomer to somebody like Jisna who has been to the Olympics – live and train together at the school. This means, theoretically, a newcomer gets to be around elite athletes on a regular basis. There are no walls separating elite and upcoming. There is scope for mutual interaction. In as much as there is scope for interaction within the school, care is taken to keep distractions from the outside at bay. Mobile phones on campus are discouraged. Students talk to their parents once a week or as needed. As regards school fees, only a nominal fee is collected from parents. The rest of the expenses are borne by the school. However there is regular sieving of students in terms of athletic performance. There are goals corresponding to athlete’s potential assigned and if trainees fail to live up to those expectations, they have to move on. The athlete is groomed slowly and steadily. The school makes them ready to take the training load. They work on a cycle of 52 weeks of training, divided into eight distinct sessions. The training spans both volume and intensity. At the end of each session, there is an assessment. By the end of the sixth assessment, the student should have achieved the target she set for herself. The rate of elimination is high. The school works with the expectation that in four years’ time, it should see the athlete capable of participating at the international level. Besides this filtering, there are also instances of trainees quitting and going because their priorities in life changed. Indeed one of the big problems in Indian athletics – if grooming cutting edge competence is what you are after – is finding talent that is also dedicated to improving itself in the sport. That was main reason for the school having 19 trainees (at the time this blog visited) against carrying capacity of 40. Since 2002, an estimated 91 students have passed through Usha School. Besides the athletes of national and international caliber it produced, at least nine of its alumni are working as sports teachers and coaches. Approximately 23 are in government service, working with state and central institutions. Training in athletics is training to achieve a goal. The goal has no appetite for excuses. You have to do what the goal demands making as few compromises in training, diet, equipment and exposure to major events as possible. A good school must operate so. The needs of athletes – like gear and equipment – are quickly attended to at Usha School. An example cited was this – at the school you don’t wear out a shoe and then stay grounded for days while you wait for a new one to be procured. There is no intervening bureaucracy. A new pair is procured as fast as possible and the momentum in training is maintained. Most of the trainees joining Usha School hail from tough financial circumstances. A nominal fee is charged from the parents because what is offered totally free of cost may not be valued. When they perform well and win competitions, it is common for athletes to get monetary awards. A small share of this goes as contribution to the school’s funding. The rest is promptly deposited in each student’s bank account (every student has to compulsorily open a bank account in her name). The school used to incur an expense of Rs 96,000 per annum on each student in 2002. Now that has risen to Rs 2.75-2.9 lakh (one lakh = 100,000). It goes up to Rs 6-7 lakh depending on the potential of the student and her stage of evolution in chosen discipline. If it is someone competing at the national or international level, expenses incurred are commensurately higher. A typical training cycle has three elements – talent identification, nurture and exposure to events. The first two are handled by Usha and her staff. The third is dependent on sports federations who manage the passage to major championships. Nurture and exposure are also arguably, capital intensive. One is composed of such ingredients like cost of training (including cost of sports infrastructure), food, hostel facilities, apparel and gear etc. The other entails expenses like registration fee for events, travel and boarding etc. For any institution the fundamental challenge is financial sustenance. There must be sufficient income to meet expenses ranging from cost of building infrastructure to meeting the school’s need for working capital. Usha School gets some funds from the state. Private sponsors of the institutional type have been few. As mentioned, P. N. C. Menon and his company, Sobha Developers, pitched in to support in the early stage by constructing the school’s main building. More recently, the Petroleum Sports Promotion Board has offered assistance. But long term institutional support from the private sector, has been absent. In terms of support from the outside, what has been relatively consistent is the support of well-wishers who pitch in because they have faith in Usha and wish to see Indian athletics grow. Senior corporate executives like Mohandas Pai feature among them, Usha said. There has also been crowd funding. Last year, the school raised Rs 27 lakh through crowd funding. It is still going on. Well-wishers may be open to being approached every time a school they trust needs assistance. But ideally, the school should sustain by itself without having to bother supporters every now and then. “ Our biggest challenge is working capital,’’ Sreenivasan, who was previously an officer with the Central Industrial Security Force (CISF) and took voluntary retirement to help with the school project, said. The general practice at the school is to spend 85 per cent of whatever funds it receives and retain 15 per cent as deposit. It is now eating into the deposits, this blog was told. On her part, Usha channelizes her appearance fee for public functions and all other recognition she gets, back into the school. There are also other potential avenues of income opening up. For example, you can train those who can afford to spend and use the receipts to fund the school’s main work. 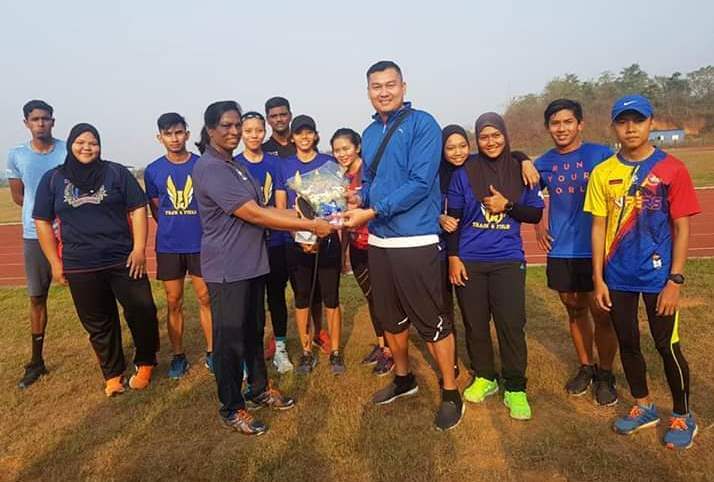 Late March 2019, a development in this regard was the arrival of a team of students from Malaysia’s Putra University to train under Usha. It was a ten day-program. There have been similar enquiries from Sri Lanka and the Middle East. Being an independent entity, Usha School is able to process such requests pretty fast. From enquiry to actual visit, it must have taken the Malaysian team two months. Athletics is a strange animal. You are picked up for training on the strength of promise. There is no guarantee that years of training will make you a fantastic athlete of international caliber. 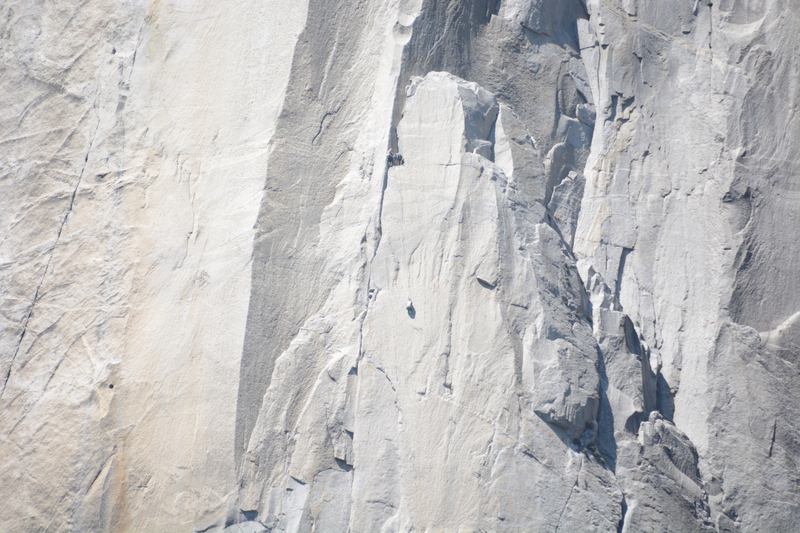 For all you know, the training and progressive exposure to competitions, may merely show you limits you can’t breach. Even if you cleared all that and broke into the higher echelons of competition, in athletics, you are in an individual versus individual situation with the promised battle on track sometimes over in seconds. There is none of the hype, glamor and extended air time of team sports. Yet nothing symbolizes personal and national glory as much as triumphing in athletics does. Given this matrix, it is difficult finding long term sponsors for athletics. What makes it particularly difficult for institutions like Usha School is that even though it has the required approvals for receiving funds domestically and from overseas, its position as an independent academy does not make it a natural destination for funds from government (which has its own training institutes) or CSR funds from corporates. One of the first corporates the school approached for funding wanted the school to sport its name and not Usha’s, in return for financial assistance. That’s a bit like saying: the money we give you is more important than your experience in athletics, fourth place at Olympics and all. Another company gifted the struggling school, a bus. It certainly helped move people around but it also incurred fuel and maintenance cost, which were taxing on a small institution desperate for working capital. The bus was eventually given away. There is mismatch between how corporates imagine athletics and athletics schools, and how the same are seen by senior athletes / mentors like Usha. Having come up through the ranks, the latter knows what training ecosystem works for athlete. Usha School for instance, is now an accepted venue for national camp. Corporates on the other hand, are usually motivated by bang for the buck; return on investment. Patience – critical to growing athlete slowly, steadily – may be in shortage, in such environment. In the past, sports agents have offered to handhold the school into the world of corporate funding and branding. The problem there is, the agents not only seek a percentage of the funds raised but they also expect the school to support them in the interim. That is not possible when the effort is to secure funds because the school is short of working capital in the first place. Sport seeks understanding for just what it is without having to pose as things it is not. Unfortunately, that is elusive. Sample a suggestion the school received: why not project Usha School as women’s development and women empowerment? Usha couldn’t digest the idea of athletics packaged as something else. “ This is an athletics school. When a woman becomes an athlete is that not automatically empowerment? These girls are confident and know how to take care of themselves,’’ she said pointing to her students. So what qualities should a potential long term sponsor for the school have? The response received highlighted the following: such a sponsor must (a) not tamper with the school’s work culture (b) not alter the school’s public image founded around P. T. Usha and her contribution to athletics (c) be somebody that understands the gestation period for high level athletic performance and (d) be somebody that understands the nature of sports. “ This is not a game of instant results,’’ Usha said. The promoters wish the school to survive after them as a beacon in Indian athletics. Finally, there is a very peculiar issue for independent school to tackle in the ecosystem it functions in. Independent schools founded by experienced athletes like Usha are relative newcomers in an athletics ecosystem traditionally dominated by large state owned establishments. Irrespective of parentage they all work in the same field, wishing their wards to make it to the same events, through the same selection route. In practice, it is not always level playing field. Will the existing big institutions allow independent schools to grow and produce good results? The quest for an Olympic medal is among reasons why Usha School exists. In the years since Usha missed that bronze medal at Los Angeles by a whisker, a lot has changed in Indian athletics in terms of sports infrastructure, opportunities and overall funding. Given sports – like all sectors – requires investment, this overall view of economy is useful to illustrate the change: according to Wikipedia, India’s GDP (measured in terms of PPP) in 1984 was $ 583.3 billion. By 2017, this had grown to $ 9.4 trillion. Amid this, that fourth place in Los Angeles in 1984, is the closest the country got to, to a medal at the Olympics in track athletics. Asked if she has as yet come across anyone from her trainees who reminds of the commitment and drive she showed years ago, Usha said “ no.’’ As India changes, human generations are also becoming different from one another. “ If my teachers pointed out mistakes in how I was doing something, I would work diligently to correct it. Previously, it was 75 per cent athlete’s work and 25 per cent that of the coach. With the current generation it is reverse. It is 25 per cent athlete and 75 per cent coach. You have to be after them to do things. You have to remind them to do the corrections; you have to remind them to hydrate well, so on. They have many distractions and they always want others around. In contrast, I used to train alone. I competed against my own timing. I proceed with the school in the hope that someday I will find someone who is very focused,’’ Usha said. This photo was downloaded from the Facebook page of Boston Marathon and is being used here for representation purpose only. No copyright infringement intended. 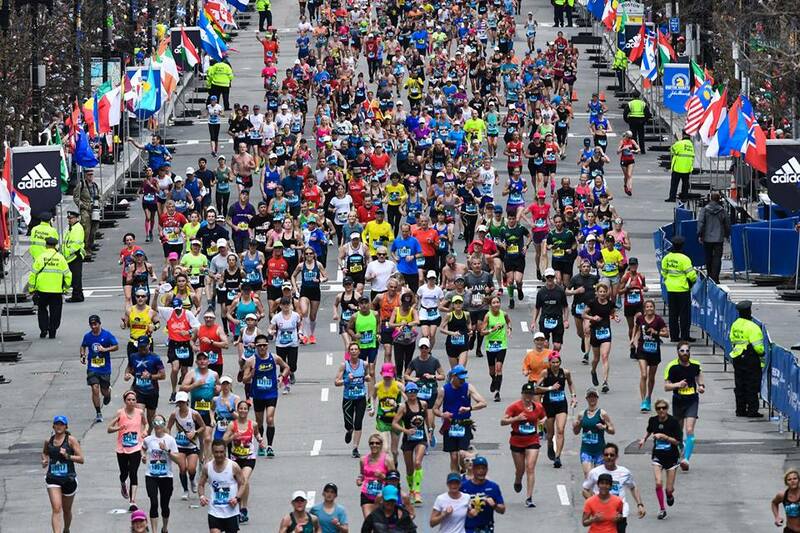 Kenya’s Lawrence Cherono won the men’s race at the 2019 edition of Boston Marathon in a very tight finish. He crossed the finish line just two seconds ahead of two-time Boston Marathon winner Lelisa Desisa. Cherono finished the race in two hours, seven minutes and 57 seconds. Desisa finished two seconds later. Kenneth Kipkemoi finished in third position with a timing of 2:08:07. In the women’s race, Worknesh Degefa of Ethiopia was the winner with a timing of 2:23:31. In second position was the 2017 champion, Edna Kiplagat of Kenya, with a timing of 2:24:13. American athlete Jordan Hasay came in third at 2:25:20. Desiree Linden, winner of the 2018 edition of Boston Marathon, came in fifth with a timing of 2:27 hours. Both, Lawrence Cherono and Workesh Degefa were making their debut at Boston Marathon, media reports said. Ethiopia’s Abrha Milaw won the men’s race of Paris Marathon covering the course in two hours, seven minutes and five seconds. Asefa Mengistu, also of Ethiopia, came in second with a timing of 2:07:25 hours. Defending champion Paul Lonyangata of Kenya finished third with a timing of 2:07:29. Among women, Ethiopia’s Gelete Burka emerged winner with a timing of 2:22:47. 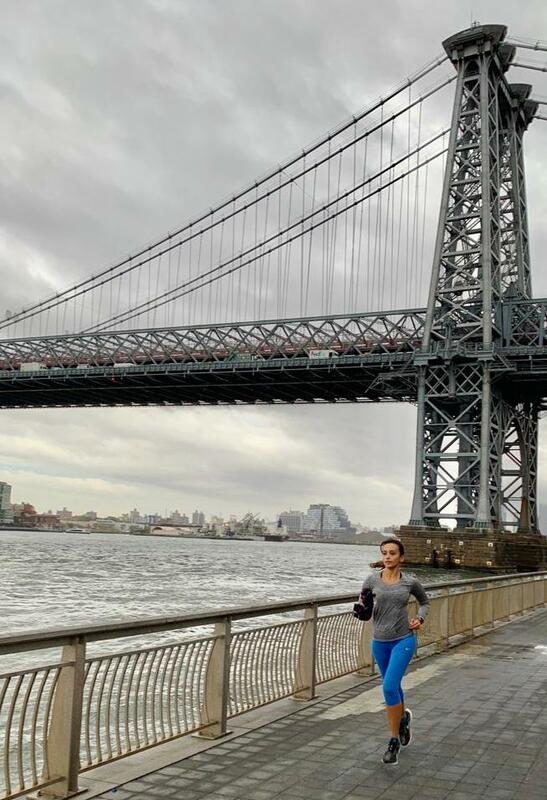 Azmera Gebru finished second (2:22:52) and Azmera Abreha finished third (2:23:35). According to the organizers, the official number of participants was 49,155. 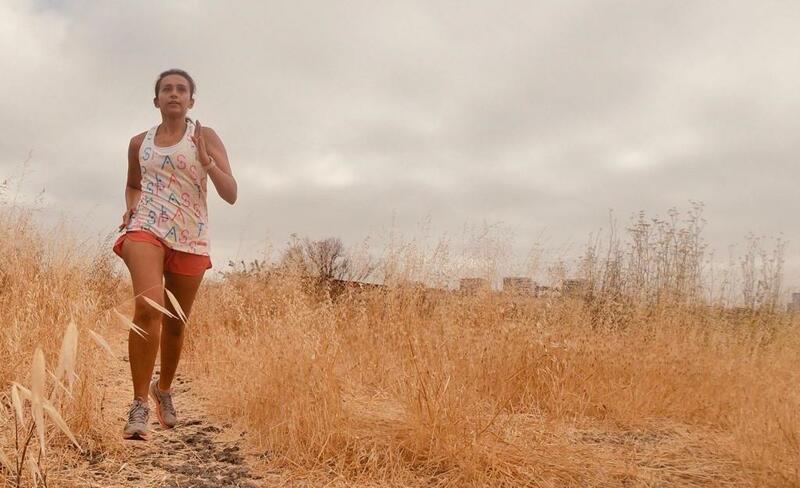 Over 50 runners from India have registered to participate in the Boston Marathon this year. The event is held every year on Patriots’ Day, the third Monday of April. Begun in 1897, it is the world’s oldest annual marathon and among the most coveted in the six events constituting the World Marathon Majors. The course runs from Hopkinton in southern Middlesex County to Copley Square in Boston. 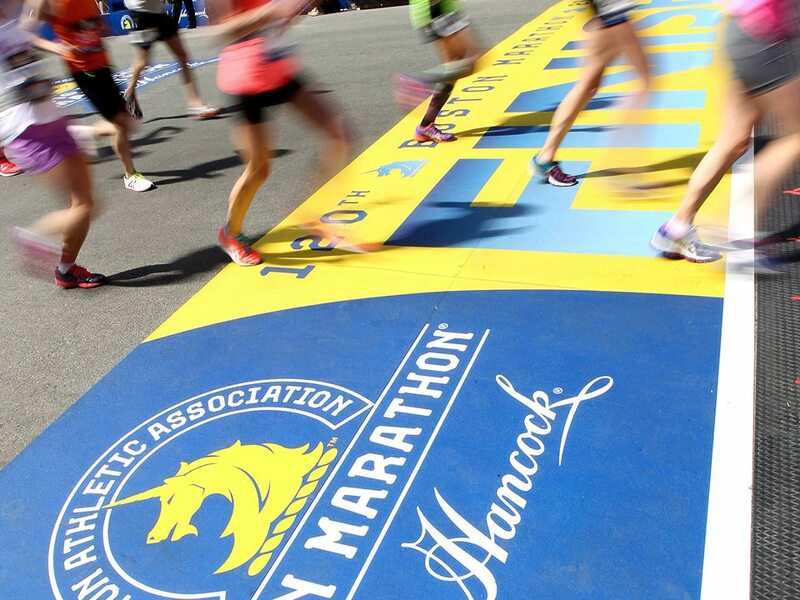 Entry to Boston Marathon is mostly through qualification on the strength of timing. 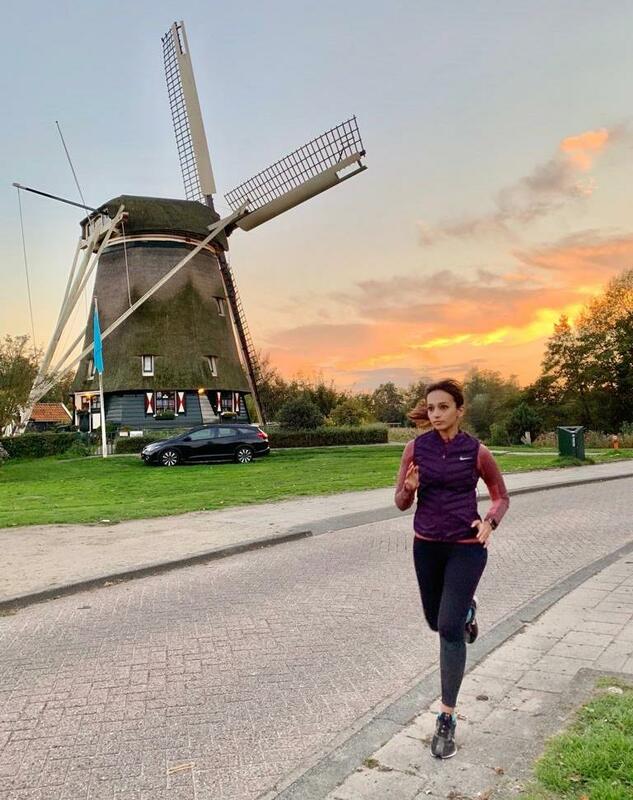 The number of Indian participants has been steadily increasing over the years as running and training for the marathon gain popularity in India. 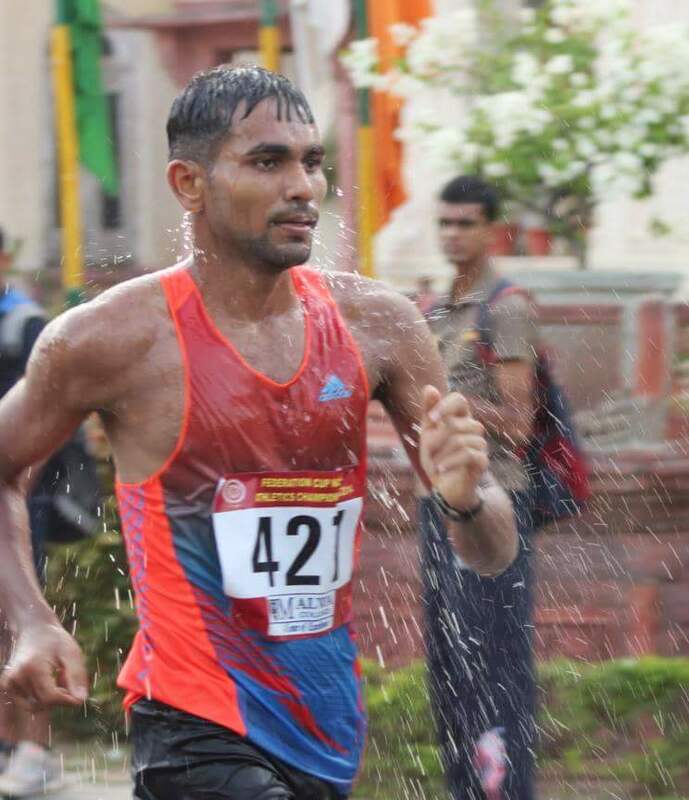 Kartik Joshi was the winner in the men’s 250 kilometer-race at Hennur Bamboo Ultra held at the end of March 2019. He finished the race in 42 hours, 52 minutes. 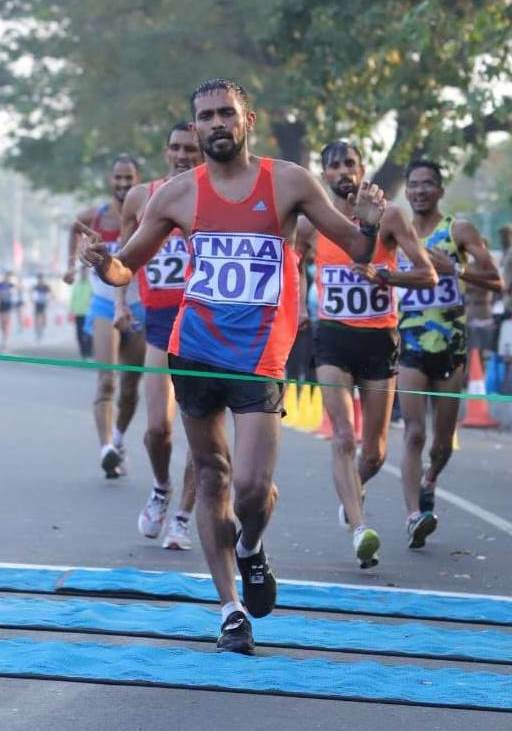 Two hours later the first runner-up, N.V. Suresh, crossed the finish line (44:56 hours), followed by Manas Ranjan Khilar, who covered the distance in 48:55 hours. The cut-off for the 250k was 59 hours. In the 210k men’s category the winner was Manuj Sharma. He completed the run in 33 hours. 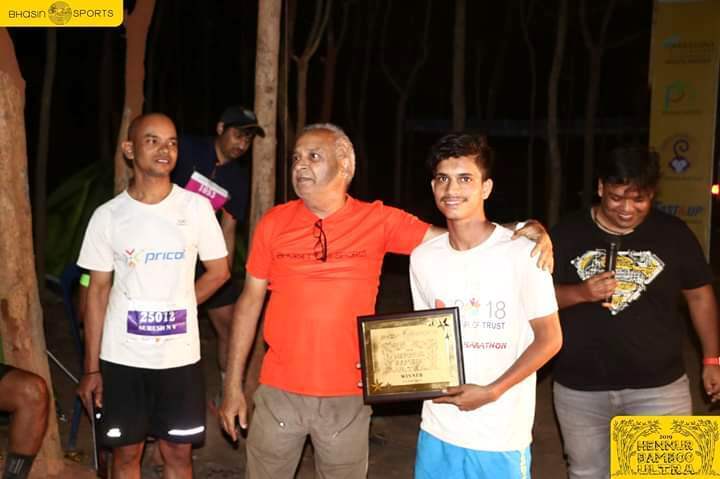 Ram Ratan Jat finished second with a timing of 39:59 hours and Ashish D. Kasodekar came in third with a timing of 41:31 hours. Among women, Shyamala S was the sole winner, finishing the race in 38:50 hours. 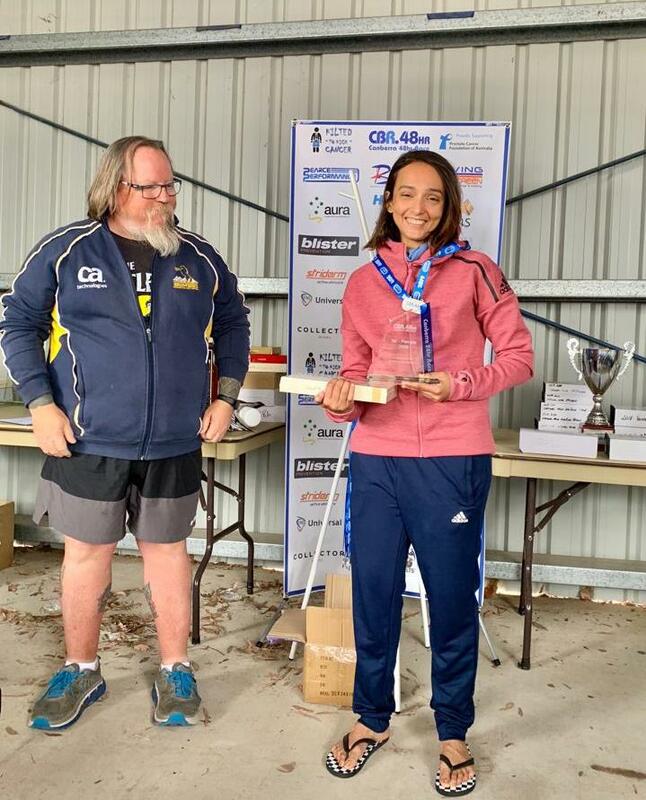 Overall, she was second after Manuj Sharma. The cut-off timing for 210k was 48 hours. In the 161k men’s category the first three finishers were Vinay Bhushan (29:51 hours), Shailesh Nayak (30:15 hours) and Murali (30:40 hours). Among women, the winners were Soumya (35:12 hours) and Shylaja Arun, who was just one second behind (35:12:01 hours). The cut-off timing for 161k was 36 hours. Geeno Antony was the winner of the men’s 100k race, finishing in 11:50:50 hours. Lakhan Meena came in second with a timing of 12:40 hours and Vinay Sharma third in 13:46 hours. Among women, the winner in 100k was Aparajitha Kavanoori who finished in 17:12 hours. Rashida Bawahir came in second with timing of 19:26 hours and Sneha Samarth came in third with timing of 20:42 hours. The race is held every year inside the Hennur Bamboo forest. 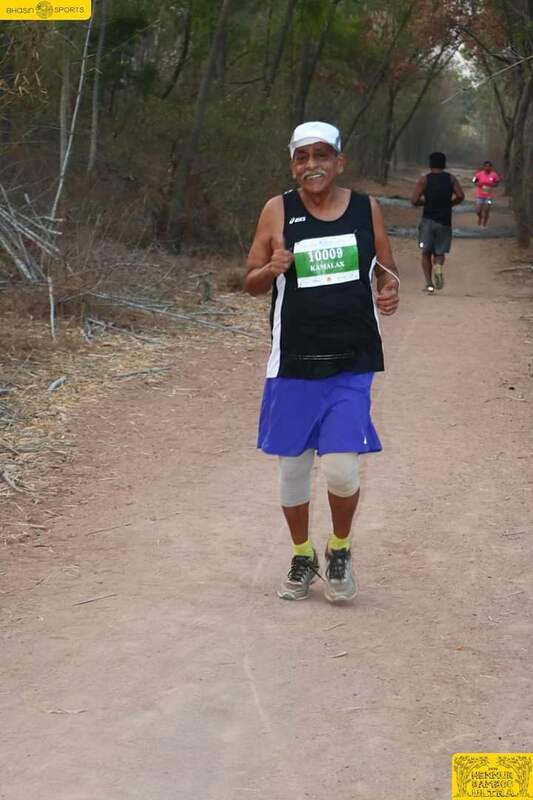 While the arrangements at the trail-ultra came in for praise, the heat was a spoiler with temperatures touching as high as 41 degrees Celsius, 72 year-old Kamalaksha Rao said. He completed the 100k race within cut-off time. For the second year in a row there were no finishers at Barkley Marathons. Every year, 40 runners attempt the race. Since it began in 1986, only 15 runners have finished it. In the 2019 edition, none of the 40 participants were able to complete the race. A narrow, long state, Kerala’s rivers are comparatively small. 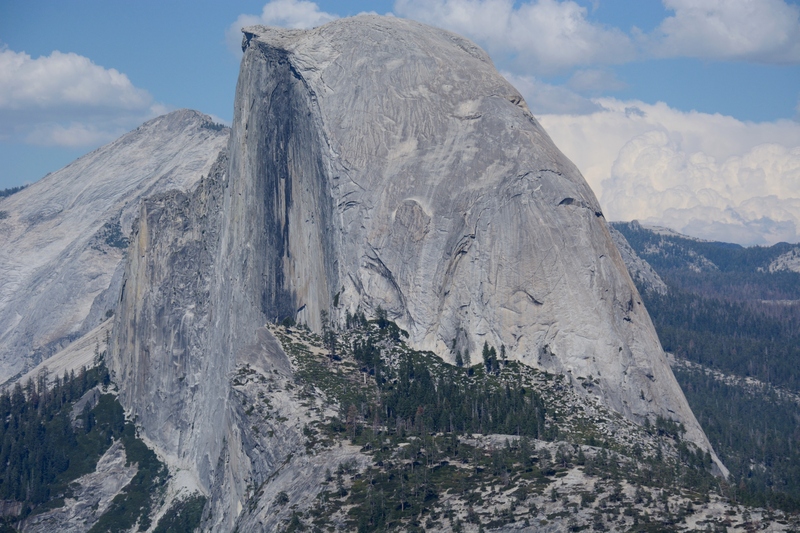 They engage for the tiers of elevation they straddle despite short length. The Karamana River which cuts through Thiruvananthapuram falls in this league. Wikipedia estimates its length at a mere 66 km; by then it reaches the Arabian Sea. Its source is however pegged at around 5250 feet in the nearby Agasthyakoodam hills (the Agasthyakoodam peak, second highest in Kerala after Anamudi [8842 feet] is around 6128 feet high). How many cities can boast of such variety in landscape? All that uniqueness is now, stuff of the past. There was a time when the river looked like one. Now, within the city, it stands hemmed in by Thiruvananthapuram’s growth. Its waters have begun ailing from urban pollution. Once in a while when it rains hard; the Karamana – as indeed other rivers in the region – swells. Floods happen. That is when city remembers river in its midst. Water’s capacity to damage and threaten is also when humans are reminded of the value in knowing how to swim. In Dr Madhav Manoj’s childhood, there was one such devastating flood when the Karamana breached its banks submerging adjacent settlements. 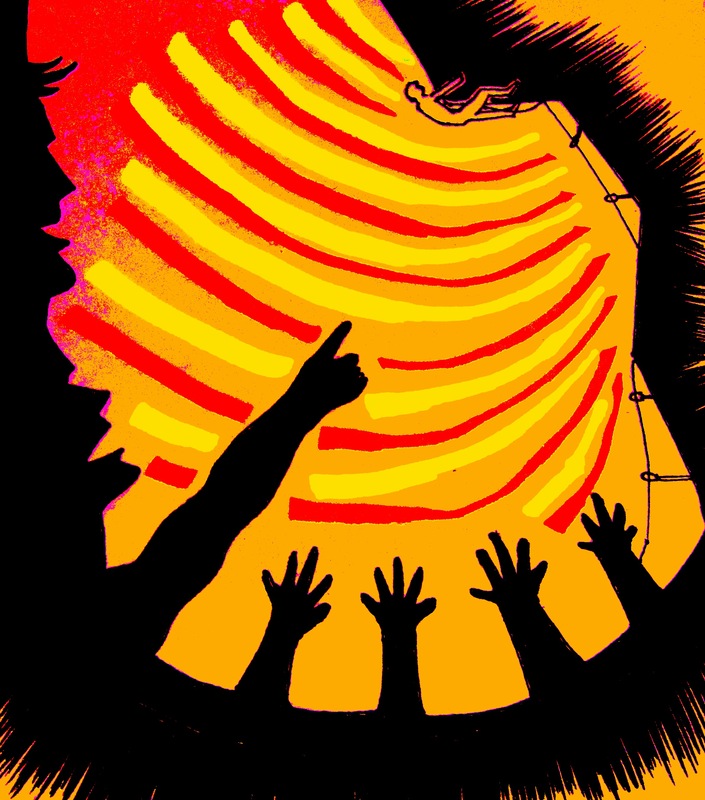 Madhav’s father K. Karunakaran – an advocate; in the early 1970s he served as mayor of Thiruvananthapuram – observed how depressing it was to see people rendered helpless before the deluge. His wife decided that their son should learn swimming. For those aspiring so in Thiruvananthapuram city, the place to train at was the Water Works Swimming Pool in Vellayambalam. Established in the early 1960s, the pool is an integral part of Thiruvananthapuram. Madhav who stayed at Nanthancode, not far from Water Works, headed to the pool to learn swimming. It would be the beginning of a journey. 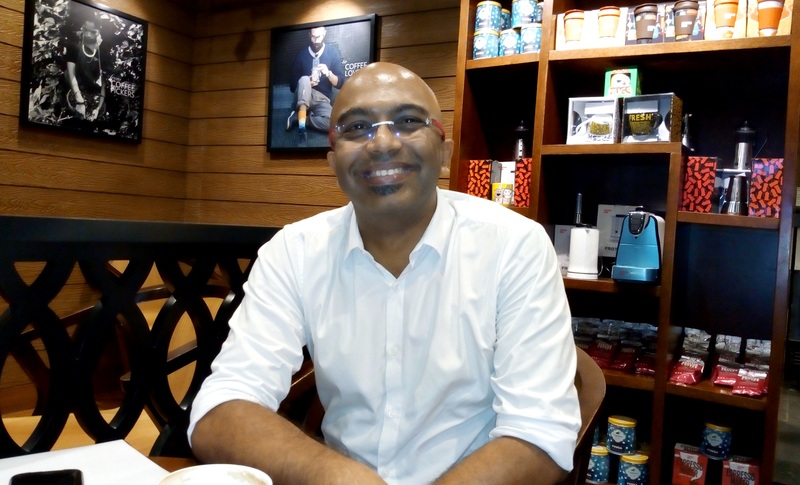 Born 1973, Madhav was seven or eight years old when he commenced swimming classes. He was good at the sport; good enough to be a competitive swimmer. His first national level competition was while he was still in sub junior category. By the time he got to juniors, he was South Zone champion and a silver medalist at the national level. His specialty was the butterfly stroke. But he was strong across styles in the short distance swims ranging from 50m to 200m. In his early years in college, he was a regular podium finisher at inter-university competitions. The going was good enough for the Indian Railways to spot him and enquire if he would be keen on a career in sports with them, job and all. But he opted to study further. He cleared his entrance exam to study medicine and joined the local dental college. With that, swimming took a backseat. The hours offered by the city’s pool – 6 AM to 8 AM – didn’t work well for the schedule his studies followed. The evening hours on offer too, didn’t work. “ That was depressing because at the time I commenced studies to be a dentist, I was swimming 12-13 km at the pool daily. That sort of training and studies were difficult to manage. I had to choose,’’ Madhav said. He shifted from swimming to playing cricket. National level swimmer became captain of the dental college cricket team. 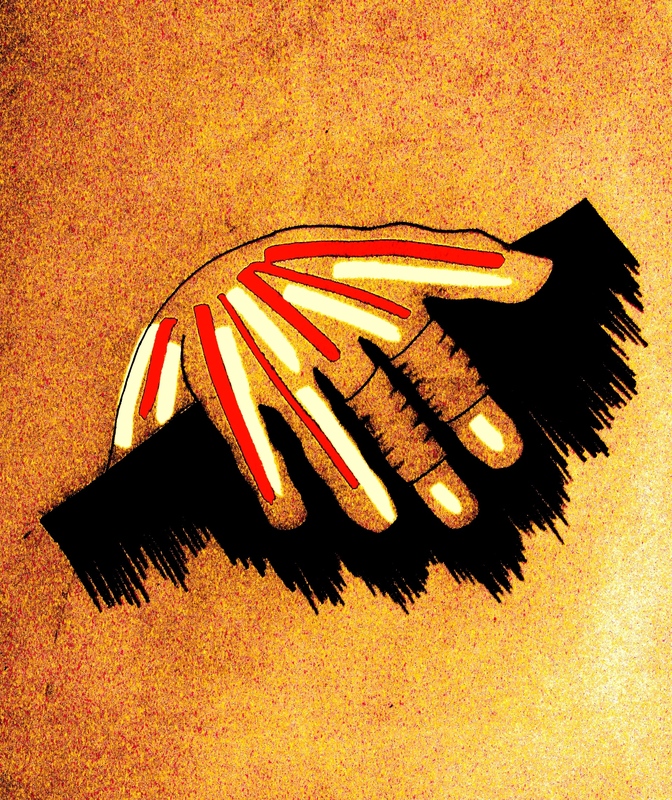 A few years later, that too ground to a halt. It was: goodbye to serious pursuit of sports. After completing his post-graduation, Madhav joined PMS College of Dental Science & Research at Vattappara near Thiruvananthapuram. There, he got around to playing cricket with his students. Meanwhile he got married and settled into the process of raising a family. “ All of a sudden, I found myself aged 42 and with two kids. I didn’t know what happened in between,’’ he said. It is typically around this time of life lost to established pattern that the odd blips and signals emanating from the human networks we are invested in; catch our eye. Madhav had kept in touch with his old school mates. As is typical in Kerala, many of them were overseas; some were in the US. From this lot, Santosh J.K, who was living in the US, was into running marathons. Madhav was aware of it. But a marathon is 42 kilometers done one kilometer after another – that’s a lot, especially when viewed from the perspective of middle age blues. 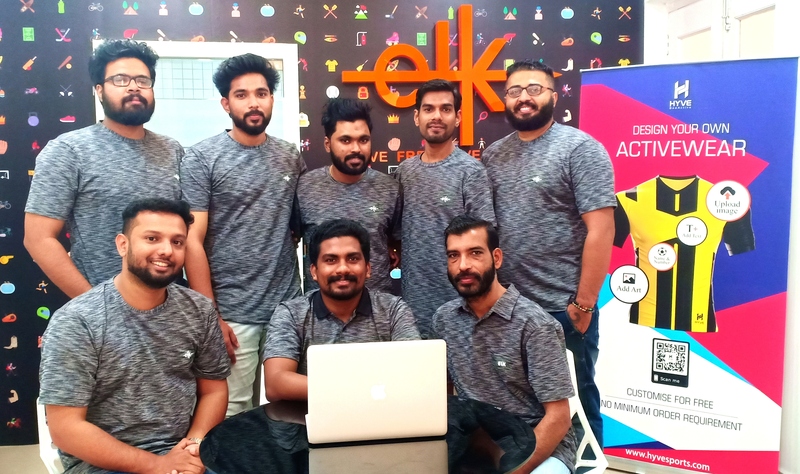 At a get together of his batch-mates from school that followed, Madhav reconnected with one of his classmates – Rajashekharan (Raj) Nayar. Raj used to be a plump person in school. Those days, Madhav – he was regularly swimming at the pool – was utterly fit. Now in his early forties, Raj was lean while Madhav seemed out of shape. Raj had gone into long distance running and martial arts. 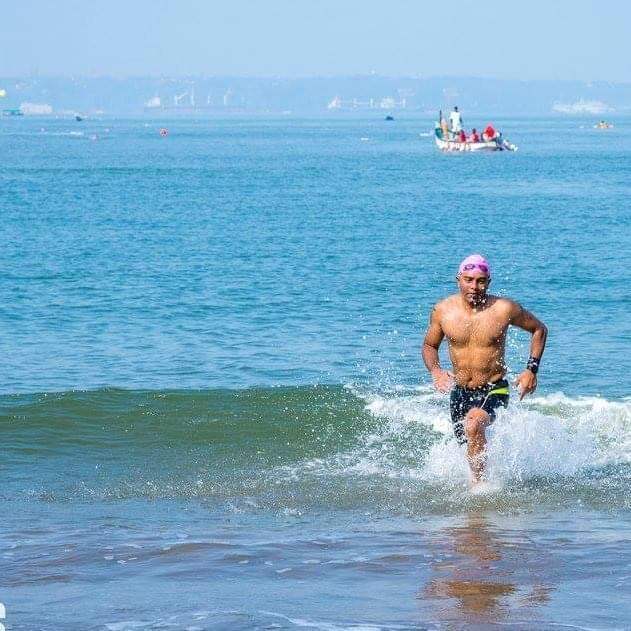 What he didn’t tell Madhav right then was his journey into the triathlon alongside; he had already completed two Ironman events. 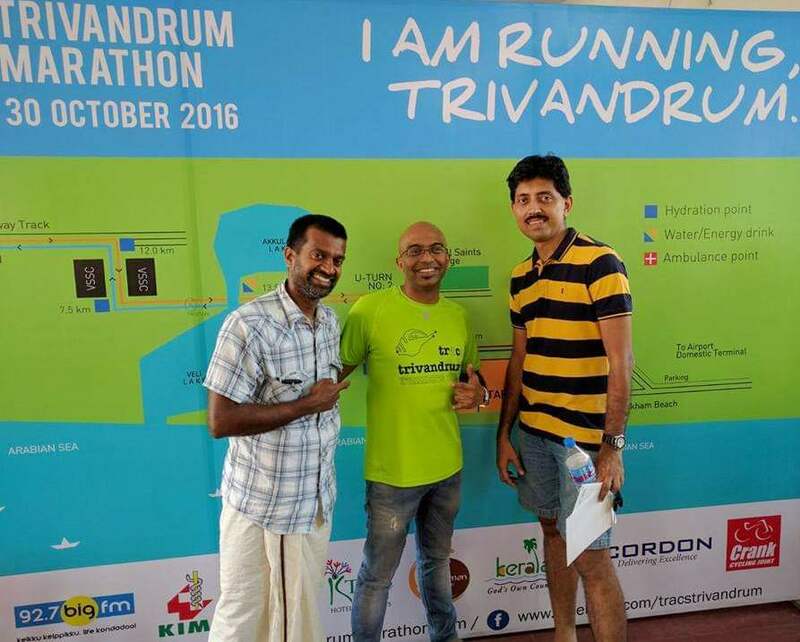 The meet-up with Raj prompted Madhav to participate in the annual marathon in Thiruvananthapuram. 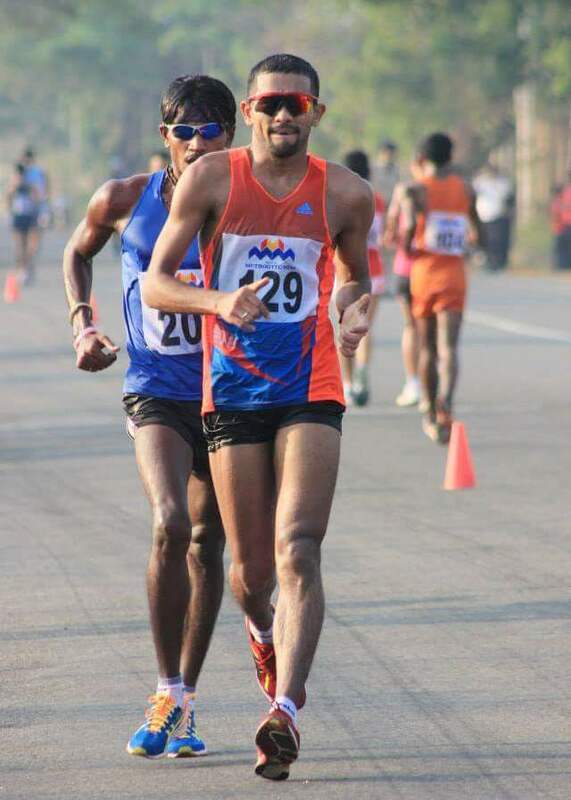 He did a ten kilometer-run with his friend P. Vijayakumar who kept him company, advising him to run slowly. 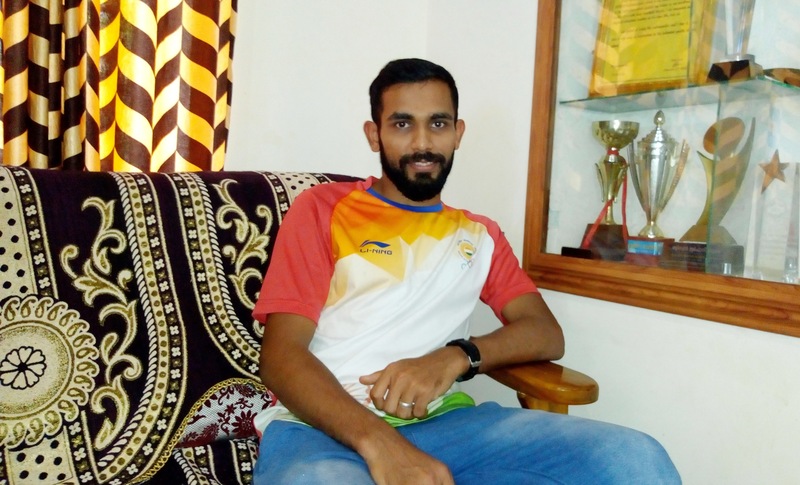 Santhosh then connected Madhav to Vishwanath Harikumar, a software engineer in Thiruvananthapuram who was into long distance running. 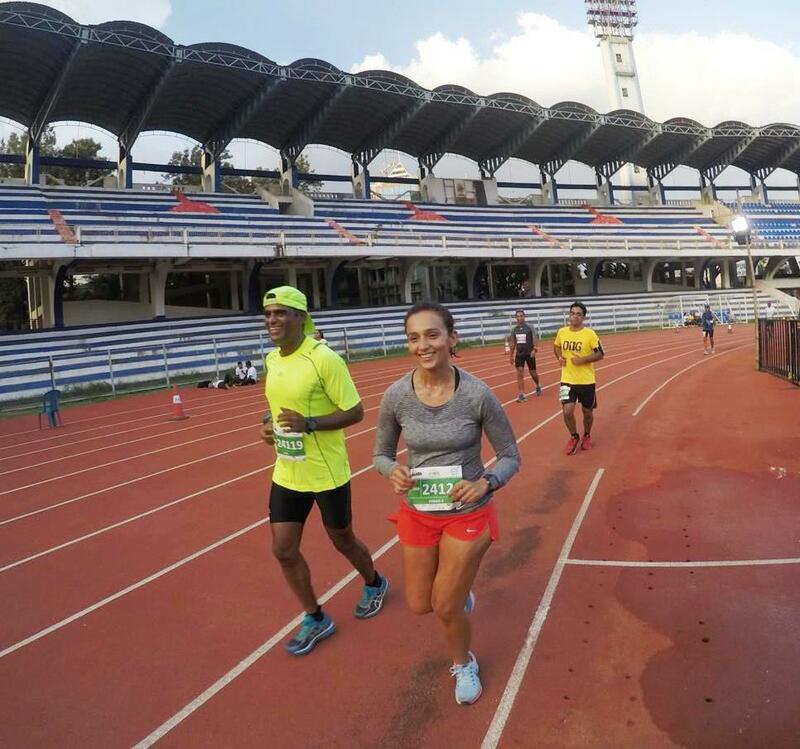 Later, through Trivandrum Runners Club, Madhav also met Dr Kiran Gopalakrishnan, an ophthalmologist originally into cycling and then taken to running. During one of the runs they were on, Vishwanath introduced Madhav to the idea of attempting Ironman. The reason was simple. The triathlon – which is what every Ironman event is – is composed of swimming, cycling and running. In India, most people are familiar with running and cycling. Swimming is not only less popular; the ones who manage to perfect the technique are fewer still. Madhav was strong in swimming. From the perspective of triathlon that seemed more than half the prerequisites in place. The way in which the Ironman idea cropped up encapsulates the predicament. “ During a conversation with my friends, we discussed the need to train for swimming. I offered to coach because I knew swimming. That was when the whole Ironman idea fell into place. I seemed well placed to try it. I talked to Raj also about it. We decided that the best approach would be to first attempt a triathlon in India. There was a triathlon organized in Chennai by Chennai Trekking Club. It had triathlon of Olympic dimension and half Ironman dimension. 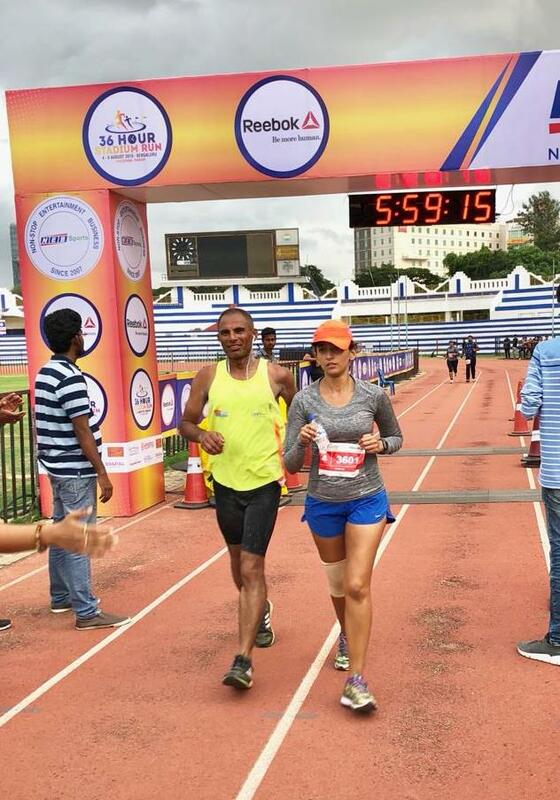 I decided to try the half Ironman distance,’’ Madhav said. Now he had to train. 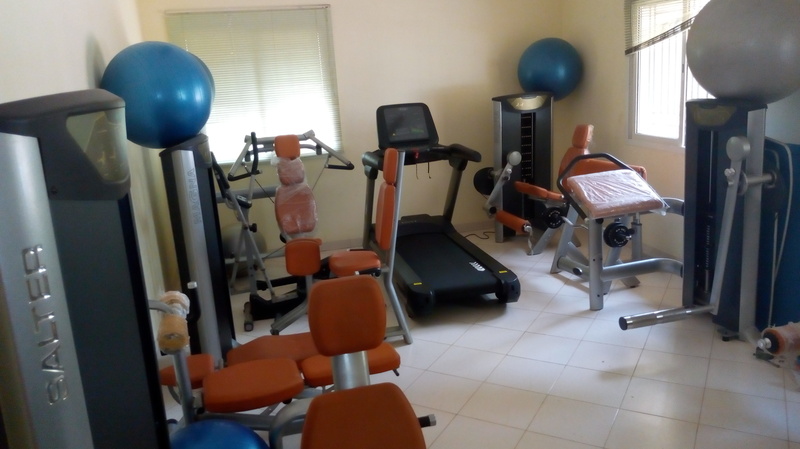 Thiruvananthapuram has never lacked sports facilities. But probably due to the high importance given to academics and well settled life, the vast majority of people around conduct their life without ever setting foot in the city’s stadiums, its swimming pools or stepping on to its athletics tracks. Once described as apt place to settle down after retirement, Thiruvananthapuram has since, slowly changed. It is still very much in the grip of the old but new generations and the presence of IT companies in the neighborhood have contributed to shaking off some of the inertia. For sure it isn’t Kochi, which is more free spirited and has made a popular movement of running. Thiruvananthapuram is comparatively regimented. Free running on its roads for example, is still a distant second to appointment based running at locations like the local museum and zoo. Now slowly, in bits and pieces, the city is learning to relax, breathe free. Madhav bought a Scott Speedster road bike from Crank, a newly opened bike store in Thiruvananthapuram. For cycling, he and his friends counted on stretches of road like the one from city to Kovalam. Up and down that amounted to a circuit of roughly 40 km. Such outings came, courtesy Madhav’s association with Trivandrum Bikers Club. For swimmer, running was the toughest activity to get used to. “ I found it really difficult,’’ Madhav said of the impact-free sport he loved and the impact-filled sport running is. One day, Madhav ran ten kilometers and then ended up in the pool for a swim. For the heck of it he swam 1500 meters that day. It was a wake-up call. He was doing breast stroke. Trying such distance after a long time, he got tired. “ Every 300 meters, I had to take rest. I felt very bad because these are distances I used to swim at a stretch in the past,’’ he said. The predicament also presented him with another issue to tackle. A triathlon requires sustained use of one’s legs across three disciplines. You can’t have your legs fried up doing one discipline and then crumble doing the next one. He needed to be efficient and good at a swimming style that spared his legs too much strain and kept them alive for the disciplines that followed. At this time, Madhav was teaching at PMS College. He was also consulting at a clinic in Male, Maldives. He cycled, ran and swam in Thiruvananthapuram; he ran whenever he could in Male too, at the local stadium. Raj, who had taken on the role of planning Madhav’s training schedules, would mail it from the US. Problem was finding adequate time for training. Madhav worked from 7 AM to 7 PM. On weekends he managed long runs of 15-17 km and 60-70 kilometers of cycling. Weekdays were a struggle. At the event organized by Chennai Trekking Club (CTC), he developed cramps while cycling. Then he briefly lost his way. Eventually he managed to complete the 1.9 km of swimming, 90 km of cycling and the half marathon in approximately seven hours, 20 minutes. 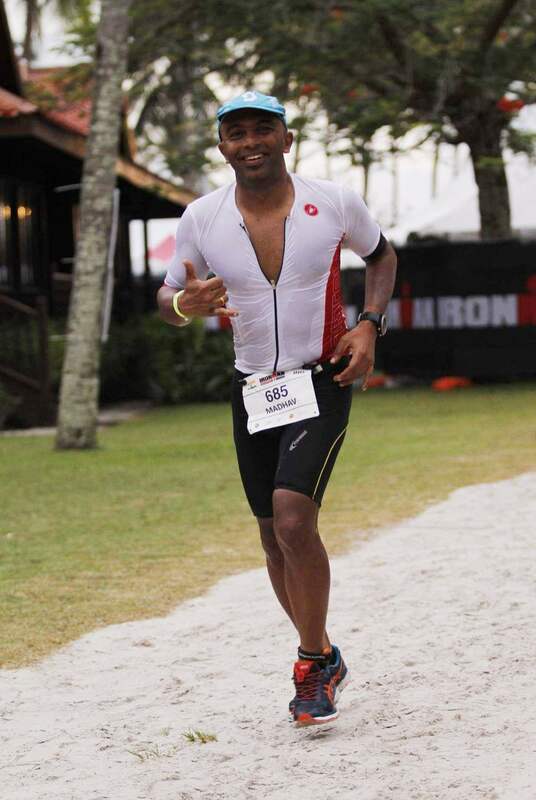 After the CTC triathlon, Madhav spoke to Raj and communicated his decision to go for the full Ironman. Raj reminded that the full Ironman isn’t the half doubled but much more for that is how the ramp-up works. 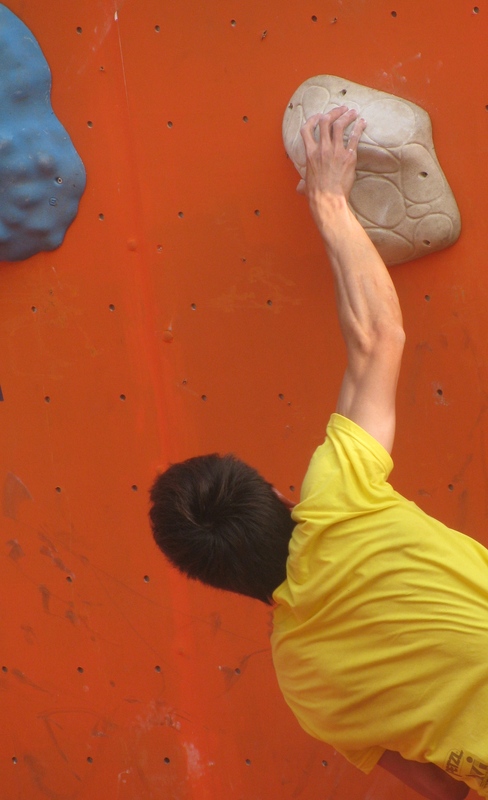 Starting with training, it will consume significant chunks of time. Raj recommended that Madhav first talk to his family. They are the people closest to him; they are the ones he would be sparing less time for when training starts. Madhav’s wife Manju is also a dentist. At that time when Madhav was contemplating the full Ironman, their daughter was in the eleventh standard. Having secured his family’s support, Madhav committed himself to the training. 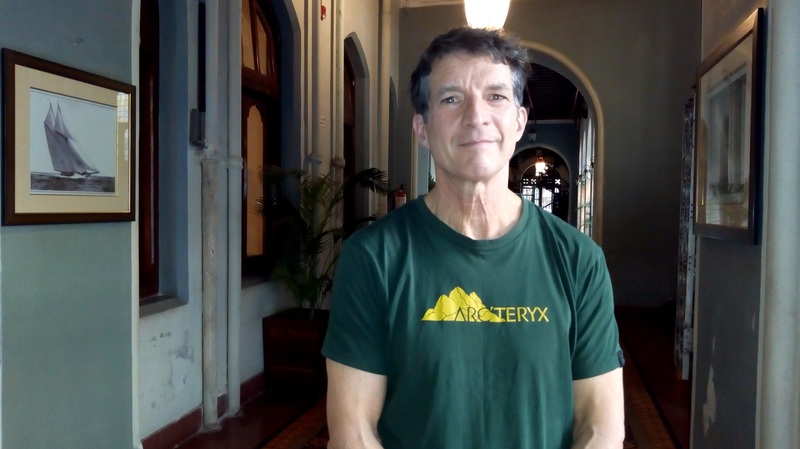 For event, he chose the Ironman in Langkawi, Malaysia because he reckoned, the weather there should be similar to what prevailed in Thiruvananthapuram. He had roughly seven months to prepare. Fitting the training schedule for the full Ironman into his teaching and travel schedules was difficult. By now, Madhav had also begun swimming in Male, where there was a pool marked out from the sea. He swam there after work. “ The first time I swam in that pool I felt very uncomfortable because unlike in an artificially lit pool where you see all the way to the bottom, here it was dark. Then I got used to it,’’ Madhav said. In March 2017, he went to Goa for a five kilometer-swim in the sea. This was his first real taste of open water swimming. He covered the distance in roughly 105 minutes. By June-July the monsoon was in full force in Thiruvananthapuram. So he acquired a trainer and did his cycling indoors. Of all three disciplines required for the triathlon, cycling was toughest to train for in Thiruvananthapuram. 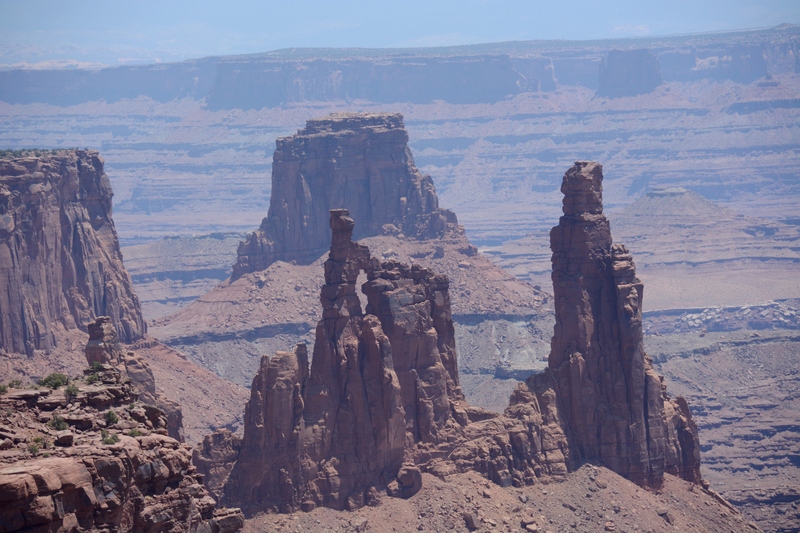 Its undulating terrain makes the city great for training to do endurance sports. Aside from general apathy to the active life, the main problems are narrow roads and the growing Malayali propensity to announce well-being in the form of more and more vehicles purchased (some recently published figures of state-wise automobile sales, available on the Internet, position small Kerala among the biggest vehicle markets in South India). Result – roads fast choking with traffic. The city’s roads – especially ones like the highway to Kollam, which Madhav used for long cycle rides – tend to fill with vehicles. Cars and buses squeeze out room for cyclists. “ It was risky, cycling on such roads,’’ Madhav said. On some of the long bicycle rides, he had family tagging along in a car behind, offering hydration support. In the last month leading up to Langkawi, PMS College allowed him to report for work an hour late so that he could use that extra time for training. Three days before the event in November 2017, Madhav and Manju left Thiruvananthapuram for Malaysia. 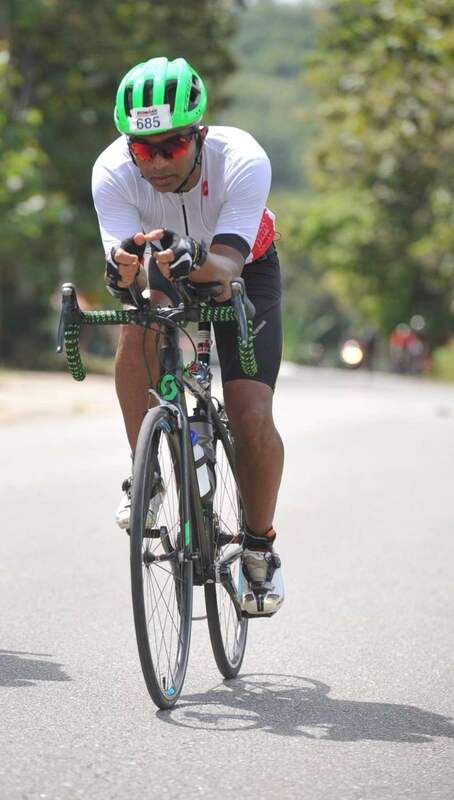 “ It was a well-managed event,’’ Madhav said of the Langkawi Ironman. The full Ironman entailed 3.8 km swim; 180 km cycling and a full marathon. The swim went comfortably for Madhav. Cycling in the hot sun was tough. The hydration he planned was inadequate. The run was alright. “ Some parts of the course were dark and tad depressing. Otherwise everything was cheerful. 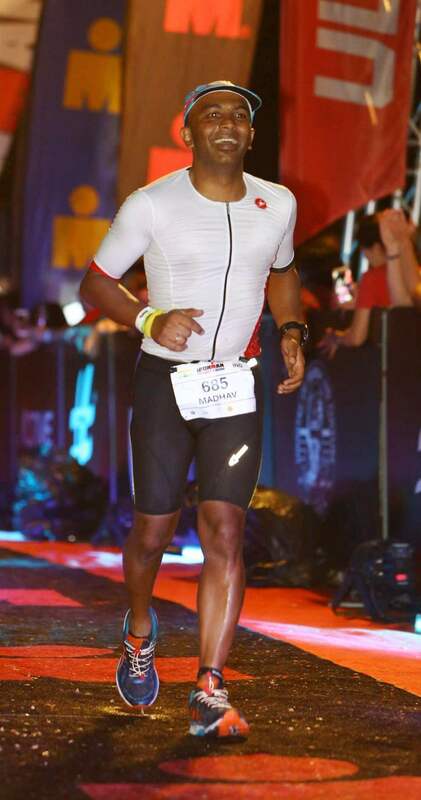 In the end, they announced: Madhav Manoj, you are an Ironman – that was fabulous to hear,’’ he said. Madhav took 15 hours, 50 minutes to complete the Ironman. Of 13 Indians who turned up that year for the event in Langkawi, six finished. 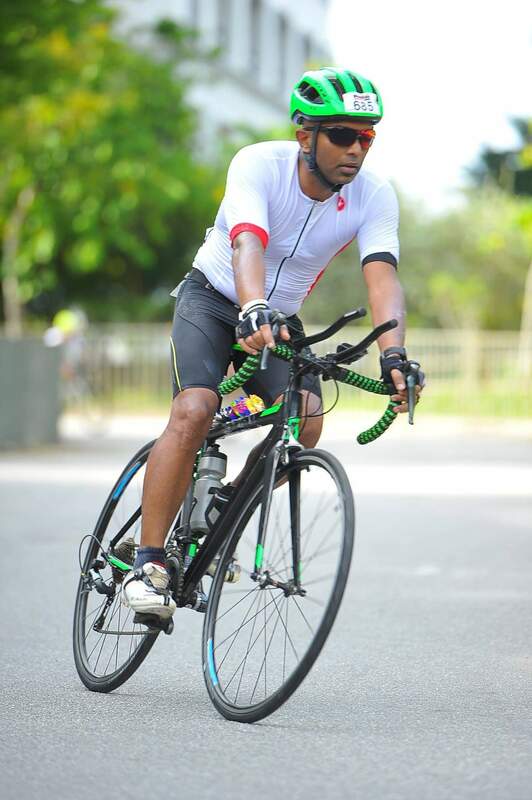 In the media, Madhav has been reported as the first person from Thiruvananthapuram to complete a full Ironman. 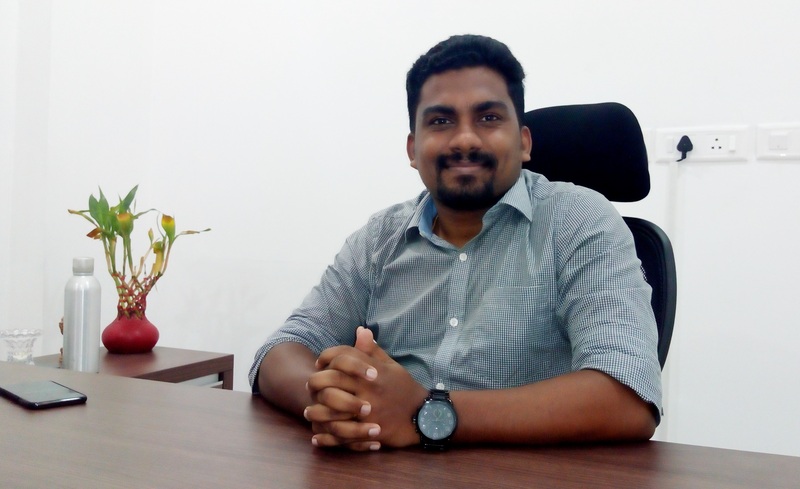 According to him, in the months that followed, Sam Chandy, a chartered accountant from the city, completed the Ironman in Copenhagen. “ I am not keen on repeating an Ironman because it is too expensive especially for somebody from India. An exception would be – if it can be combined with a family holiday. 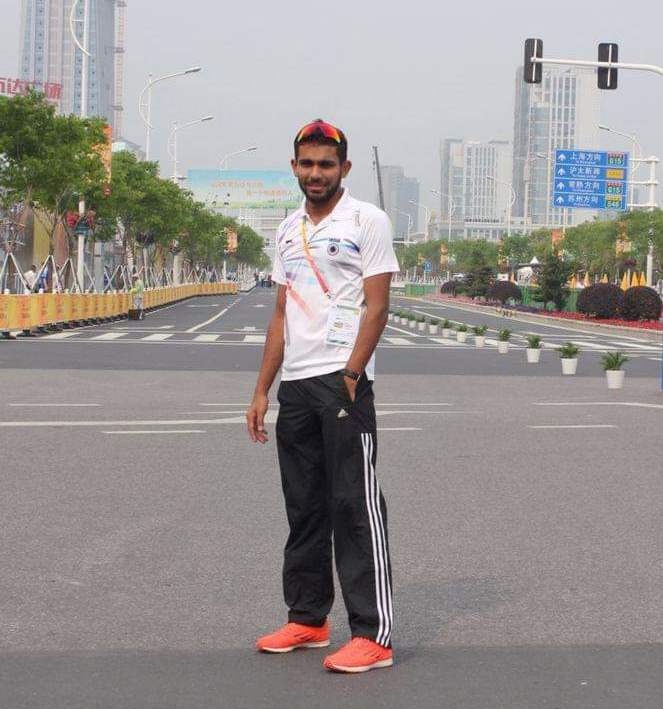 The triathlon definitely interests me,’’ Madhav said. Going ahead, he would like to take up the full marathon as a distinct discipline, know more about the world of randonneuring in cycling and try his hand at swimming in the Masters Championships.